This is probably the most frustrating thing you could ever say to someone who is trying to make a full-time living as an entrepreneur. Because hard work is useless if you’re not working on the right things. Inherent in the advice to “just keep hustling” is the assumption that it will take you a long time to be successful. And you know what, maybe it does for most people. But what if that’s not the case for you? What if you could triple your business in the span of one month? If you don’t think that’s a possibility for you, it won’t be. This is how the advice to “be patient” becomes a self-fulfilling prophecy. If you believe it will take years to grow your business, it probably will. Especially if you are focused on the wrong things. First - If your current strategy isn’t working, stop doing it. Next - embrace the idea of deliberate practice: working smart while working hard. That’s how you accelerate your learning curve. That’s how you succeed as an entrepreneur. Most people leave out the middle part. Obviously you need to work hard in order to be successful in anything. But hard work is not sufficient. If you want to improve rapidly, it’s essential to take in new information and adjust accordingly. This is one of the key differences between being an entrepreneur and being an employee. At a company, you get a certain amount of credit just for showing up and doing what you’re told. As an entrepreneur, you only get paid for results. And if you don't change your strategy, you won't change your results. 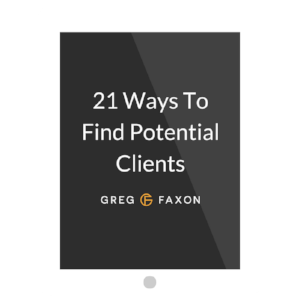 When I started off as a coach, I focused entirely on growing my email list. That’s what everybody told me to do. But growing my email list wasn’t actually making me money. The thing that was making me money was having coaching conversations. Once I went all in on that, I made a full-time income very quickly by serving people directly. If your current strategy isn’t working for you, it’s time to step back and reevaluate. You might be missing a key ingredient.